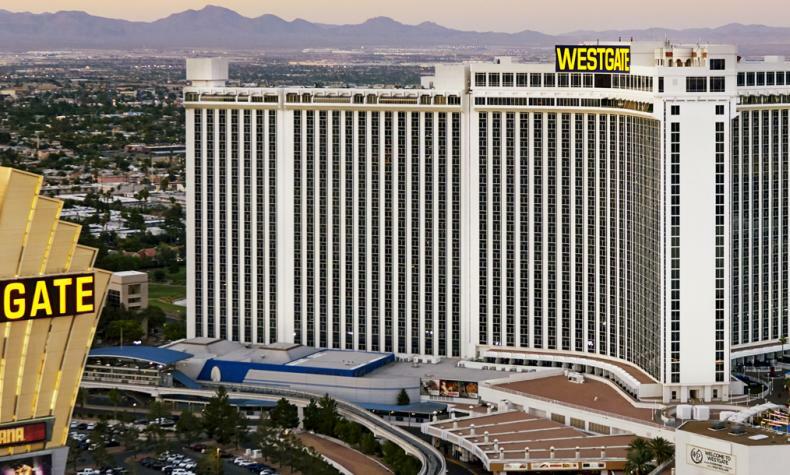 A Vegas paradise a block from the Strip, the Westgate Las Vegas Resort & Casino is a destination resort. Plush accommodations, fine restaurants and dynamic gaming, with rooms featuring opulent décor, Wi-Fi and spectacular Las Vegas valley views. Amenities include lighted tennis courts, health club and spa, beauty salon and heated pool. The theater presents top headliners and the casino has a wide variety of gaming options.